Visitors to the Fernwood Café will find themselves dining on an exceptional menu of dishes served up by Chef Tim Carrigan among 105 acres of picturesque gardens. 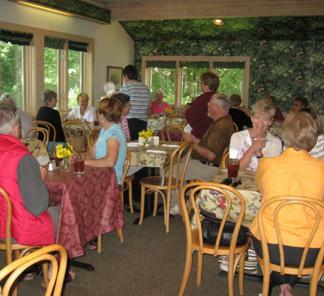 This cozy café features fresh local fruits, vegetables and herbs from Fernwood’s herb garden as well as fresh, homemade desserts. Original owners Walter and Kay Boydston established Ferwood Natural Garden and Nature Preserves in 1964 and since then it has become one of the town’s premiere destinations. Featured in the July 2008 issue of Lake Magazine, the Café’s menu can be found online at www.fernwoodbotanicalgarden.com.